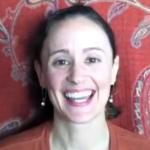 The CD’s intent is to help listeners “welcome and awaken” miracles in their lives. Each track is accompanied by instructions (mudra, eye focus etc.) to a meditation as part of Spirit Voyage’s “Meditations for Transformation” series. This makes it a very practical addition to any yogi’s toolbox, but it is also a CD that one can listen to whenever one wants to simply feel relaxed and inspired. Track one is “The Miracle of Connection: Dharti Hai.” This short but powerful mantra connects Earth and Ether, projecting from the heart; the meditation comes with a powerful visualization. In Jai-Jagdeesh’s steady-paced version, her voice is strong and centered, yet there is an ethereal lightness to the flow. As you chant Dharti Hai, you’ll envision a deep gray earthy tone beaming from the navel, and with Akaash Hai you’ll envision a vast blue sky opening into the Ethers; the soulful violin playing will guide you on your journey. Next up is “The Miracle of Surrender: Dhan Dhan.” This mantra has quite a few more words than the first selection, but with Jai-Jagdeesh’s gentle lead (and a steady percussion beat) you’ll soon find yourself chanting along. From the Siri Guru Granth Sahib, the shabad calls on Guru Ram Das, the Fourth Guru of the Sikhs. Guru Ram Das is associated with miracles, and represents compassion, love and service. The meditation removes fear of the future and is the go-to mantra when a miracle is needed in your life. “The Miracle of Healing: Ra Ma Da Sa,” comes next. This is one of my favorite mantras, one that I call upon often, and one that I’m rather particular about when it comes to accompanying music. I was not disappointed! Jai-Jagdeesh’s uplifting, almost playful version reminds me of a song my mother might have sung to me as a child—lilting, loving, filled with joy. With shimmering guitar accompaniment, this rendition will carry you straight to your heart, where you will feel the healing begin. Jai-Jagdeesh’s extraordinary voice and the emotional depth of her vocals may no longer surprise us (we’ve come to expect as well as to treasure her gifts). However, this new album seems to almost effortlessly reach to the core of these mantras, connecting to the sound current in such a gentle, organic way. 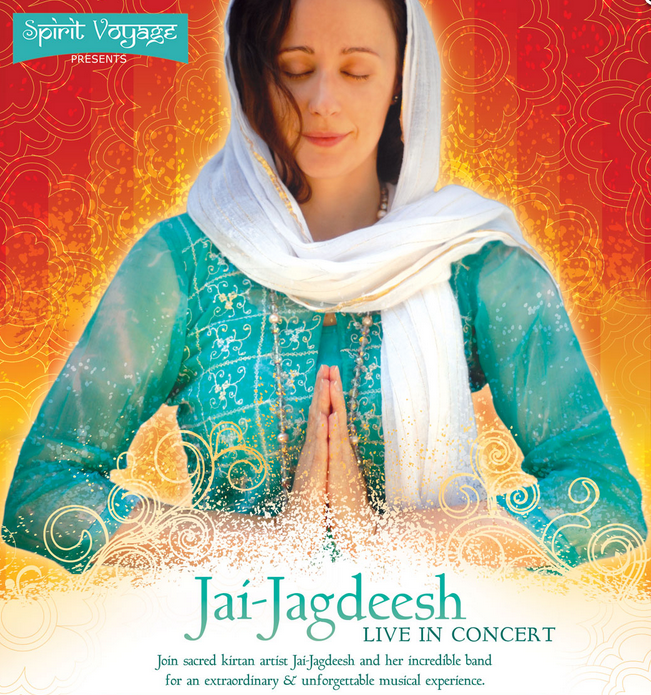 I’m looking forward to welcoming more and more miracles to my life with these meditations, and I am grateful to Jai-Jagdeesh and her accompanying musicians for the grace and love they have poured into every note. Yes, Miracles Abound, indeed!